Take a look at the Korean versions of two of my books. I am now at the fourth annual South Korean Homeschooling Convention. It is at an excellent conference facility that is roughly an hour and a half outside of Seoul. The conference is organized by a company that has taken a lot of interest in homeschooling, DCTY. 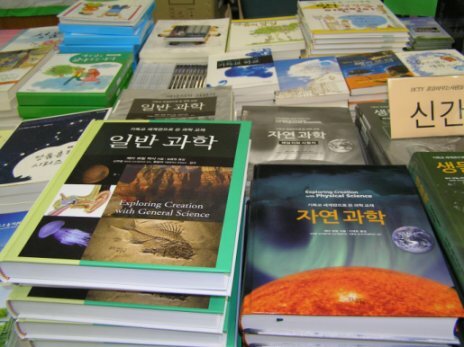 Although its main focus is children’s clothing, the company has been at the forefront of translating books from English to Korean to help the homeschooling community here. The picture above shows you the Korean editions of two of my books, Exploring Creation with General Science and Exploring Creation with Physical Science. I must admit that it is a bit surreal looking at a book that I wrote but cannot read! My first talk at the conference was at 10:00 AM, and I was actually nervous about it. I haven’t gotten nervous about a talk for a long time, so it was quite an interesting feeling! Why was I nervous? Because I had to speak through a translator. Most South Koreans know at least some English. They certainly know English better than I know Korean! Some of them even use the English editions of my books. Nevertheless, for them to get the most out of a talk, it should be in their own language. So I worked with an excellent translator, whose name is June. She was so good that it took no time at all for us to develop a rhythm to our interaction. Once we developed that rhythm, it almost seemed natural to speak a thought, pause, and wait for June to translate it. We have an old rule of four versus five. You can enter the college you want if you sleep only four hours a day, but you won’t if you sleep five or more. You get used to it. It is not surprising, then, that suicide is the leading cause of death among young people in South Korea. Obviously, a lot of parents do not want their children exposed to that kind of pressure. Many South Korean families escape the public school system by becoming kirogi, which means “wild geese.” The mother and children live in a foreign country, and the children attend school there. The father stays in South Korea to make money to support the mother and children. The latest figure I can find (from 2002) indicates that 10,000 South Korean students live as kirogi. Homeschooling, obviously, is a more family-friendly way to escape the South Korean schools, so there is a growing homeschooling movement here. While the specific problems with the South Korean schools are different from the specific problems with the U.S. schools, the questions that homeschoolers face are pretty much the same. How in the world will I be able to teach my children on top of everything else I need to do? How do I deal with the family and “friends” who are vocally opposed to what I am doing? How will it affect my children’s options in the real world? How do universities look at homeschooled students? All of these questions are important, but they are just about the details. The most important question is, “How do I do what’s best for my children?” In these parents’ mind, the answer to that is homeschooling, so they are here to learn about the details. As is the case around the world, I am impressed with these homeschooling parents. It is clear that they are putting the needs of their children well in front of their own needs. They are sacrificing mightily to do what they think is best for their children, and that inspires me. Wow. Thanks for the reminder about the big difference in our cultures in terms of expectation. Many Korean students come to our small northern community to study for a year (Terrace, British Columbia, Canada) . Imagine the eye opener it is for them? I am grateful to have the ability to home school my children and set the expectation regardless of the cultural norms. Thanks for sharing your observations with us! Laurie, it would be very interesting to hear what the Korean students in Canada think of their time there. Are they glad to get away from the stress, or do they think they are “losing ground” relative to their “competition”? By the way, one of my very favorite memories comes from BC. My daughter and I went whitewater rafting down the Nahatlatch river. It was the perfect mix of excitement and amazing scenery! Great question, Vivielle! There is an interesting “tier” system in South Korean universities. The top tier universities (referred to as “SKY” and “KAIST”) are the ones that everyone wants to get into. They are the ones that accept only the top 10%. Homeschooled students cannot go into those universities directly. However, they can get into the “lower tier” universities simply by taking entrance exams. If they prove themselves at these “lower tier” universities (or at a foreign university) for one or two years, they can then be accepted into one of the top tier universities. This might delay their graduation by a year or so, because the top tier universities won’t accept all their credits from the other university. However, a year or two delay in graduation is, in my opinion, a small price to pay for a more sane secondary education. I wonder what kind of students the “insane” secondary school system actually produces. On the one hand you would expect them to be pretty good if they have the raw devotion to work 20 hours a day. However it isn’t exactly healthy, especially if they don’t learn to pace themselves later. It also probably doesn’t incite people to love learning itself, nor develop the thinking skills that come more strongly into play latter in life. Josiah, I think your comment about the love of learning is spot on. When you study that much, learning becomes a chore, not an interesting pursuit. Thus, my view would be that such an education produces students who know a lot, but who do not really care to learn any more than is absolutely necessary. I wish you were right about learning Korean. However, it is such a foreign language to me, I can’t make heads or tails of it. I learned a lot of German by reading an English and German Bible side-by-side. However, looking at the English version of my book and the Korean version of my book just gives me a headache! I’m hoping you will entertain a question that is completely off-topic. “Ring species”? ie. seagulls around the globe Are they an example of “macro”evolution or just a reshuffling of genetic information within a “kind”. If the latter is the case, why can they not interbreed? I am happy to answer your question, Elizabeth. Ring species are definitely examples of speciation, where a new species is formed. However, speciation does not necessarily require new genetic information. Richard Lewontin talks about this in The Genetic Basis of Evolutionary Change. He says that several examples of speciation occur using the genetic variants that already exist within the original population, with no mutations producing novel genetic information. Thus, the fact that two species cannot interbreed does not necessarily mean the genome of one has new or novel information compared to the genome of the other. If the existing information get shuffled enough, then the two genomes can be incompatible. Thanks Dr. Wile! I might have to pick up that book. I read some of the post. While the pressure-keg situation of the public school system there sounds difficult (90% of the students end up seeing themselves as “failures”), it’s good that S. Korea has freedom and opportunity in the area of school choice and that your stuff is being published for them! I’m sure they are a dedicated and very hard-working bunch. It would be interesting to see if they do studies comparing public/homeschooled students such as the ones you present and what the results will show! My friend and I were very encouraged by that talk, by the way, and now that I mention it, I do have a question about those studies. How did they pick the students? Are they comparing the “best” homeschool students with the average among public school students? 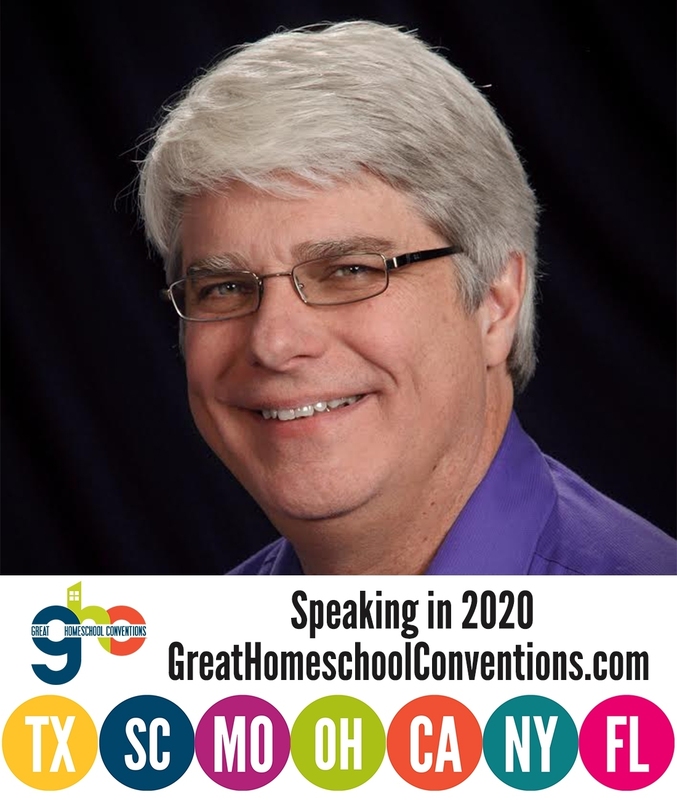 It seems a challenge to compare the “average” homeschool student to the “average” public school student simply because of the apparent difficulty in getting a large enough cohort to adequately represent all the different home “schools” out there. Anyway, just wondering! Thanks again for being there to provide answers. I agree, Elizabeth. It will be very interesting when studies are done in South Korea regarding how homeschooled students compare to their peers. In answer to your question, the methodology changes depending on the study. I am not sure exactly what study you are discussing. Generally speaking, the researcher finds a group of homeschooled volunteers who are willing to participate. Then, in order to make proper comparisons, the researcher chooses publicly- and privately-schooled students who are “similar” to those students in order to make the comparison. Of course, finding “similar” students is a tricky business, but usually this means making sure the average income of the students’ families are roughly the same, the education level of the parents are roughly the same, etc. So the researchers do typically try to make sure they are making reasonable comparisons, avoiding the situation where they compare superstar homeschooled students to average publicly-schooled students.